Today's blog post is inspired by summer fashion. 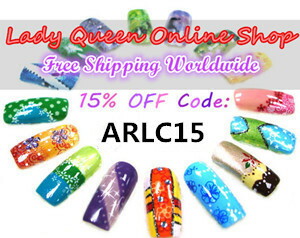 When it comes to nail art, we draw inspiration from many things around us, including fashion trends. 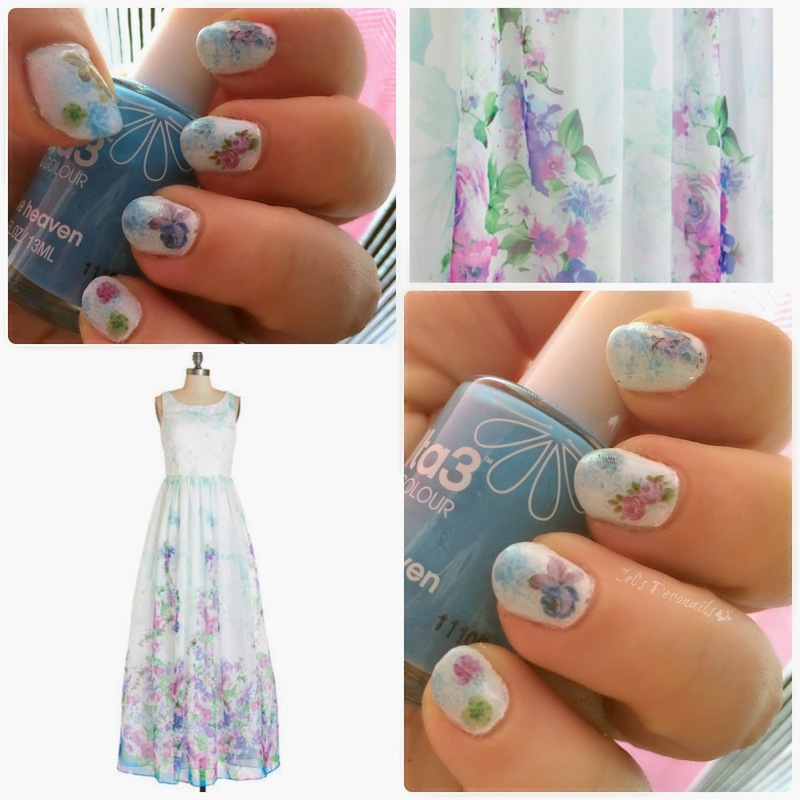 So when I came across this lovely Wall of Flowers dress at ModCloth, a new nail art idea was born. Then I sponged Once in a Blue Moon by Face of Australia and Blue Heaven by Ulta. I waited for the colours to dry and then I applied the nail stickers. Sealed with a coat of Seche Vite and my summer manicure was finished! Easy as 1 2 3. ΑΑΑΑΑΑ!!!! Μου θυμίζουν τις πορσελάνες της γιαγιάς μου!!!! Very pretty!! Θυμίζει λιγάκι ρετρό πορσελάνη που λέει η Έλενα και μου αρέσει ακόμα περισσότερο! 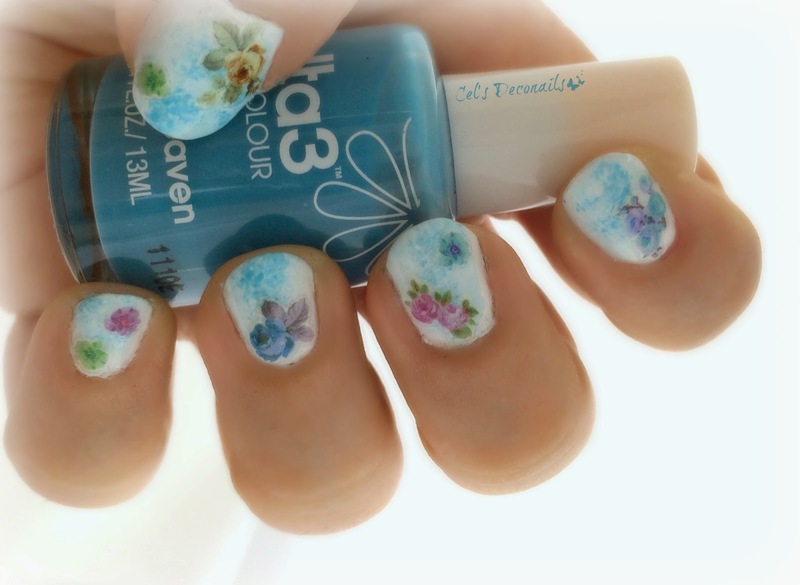 Pretty manicure :) Good thing you had those stickers on hand! Now you finally got to play with them. 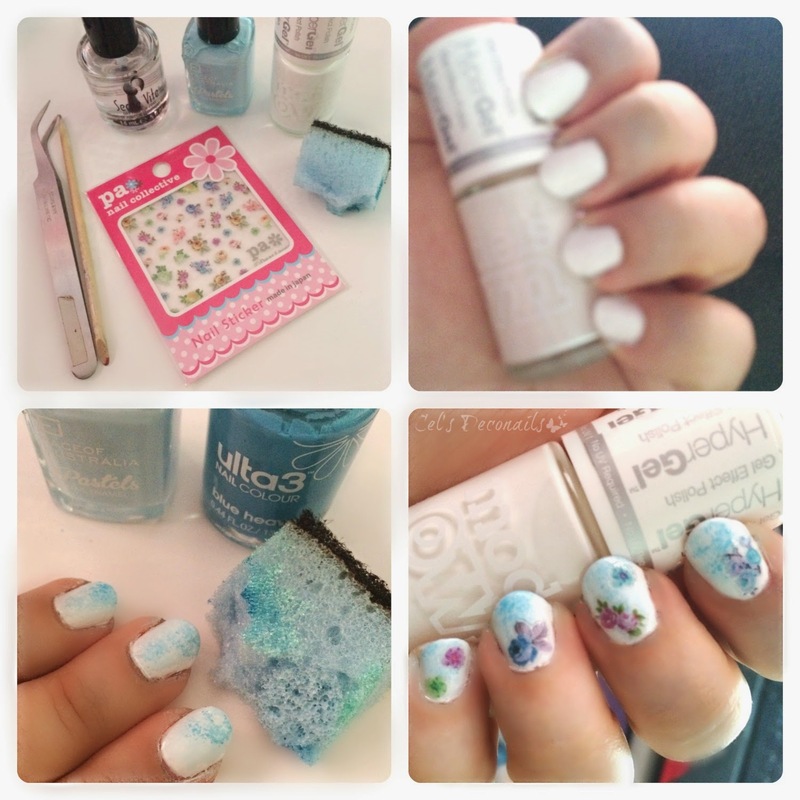 both the dress and nail art are so adorable.